America is the ultimate start-up venture – and these are the heroes who made it happen. 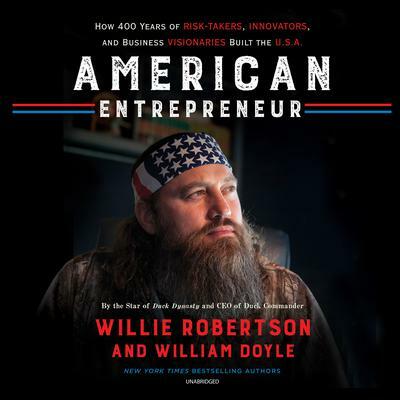 American Entrepreneur also relates the story of the Robertson family business, telling how Willie’s family turned a humble regional duck call manufacturer, founded by his father Phil, into an international powerhouse brand. From a young age, Willie had the entrepreneurial bug, buying candy in bulk and hawking it on the school bus. He did special orders, offered revolving credit plans, and earned a small fortune for a ten-year-old—until he was hauled into the principal’s office and told to knock it off. 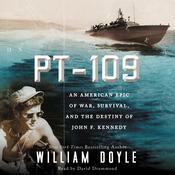 So he transferred his focus to Phil’s fledgling business, helping in whatever way he could, from folding endless numbers of cardboard boxes to acting as the company’s customer service department—though he still wasn’t out of grade school. 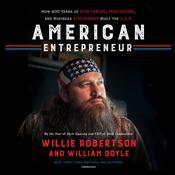 Willie helped build Duck Commander, which he now runs, into a worldwide brand, culminating in the mega-success of the Duck Dynasty television show. 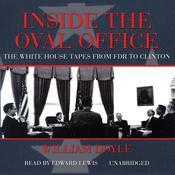 William Doyle is a New York Times bestselling author and the winner of the 1998 Writers Guild Award for Best Documentary for the A&E special, The Secret White House Tapes. 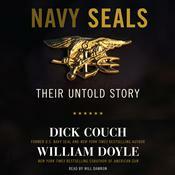 He was also coproducer of the PBS special Navy SEALs: Their Untold Story. He lives in New York City. Willie Robertson is the CEO of Duck Commander, a family operated business that creates products for duck hunters, including duck calls, clothes, and videos. Willie, along with his wife and business partner, also owns and operates Buck Commander, where they create products for deer hunters. 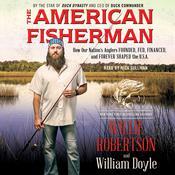 Willie took the family duck-call company from a living room operation to a multimillion-dollar business. Willie lives with his family in West Monroe, Louisiana.